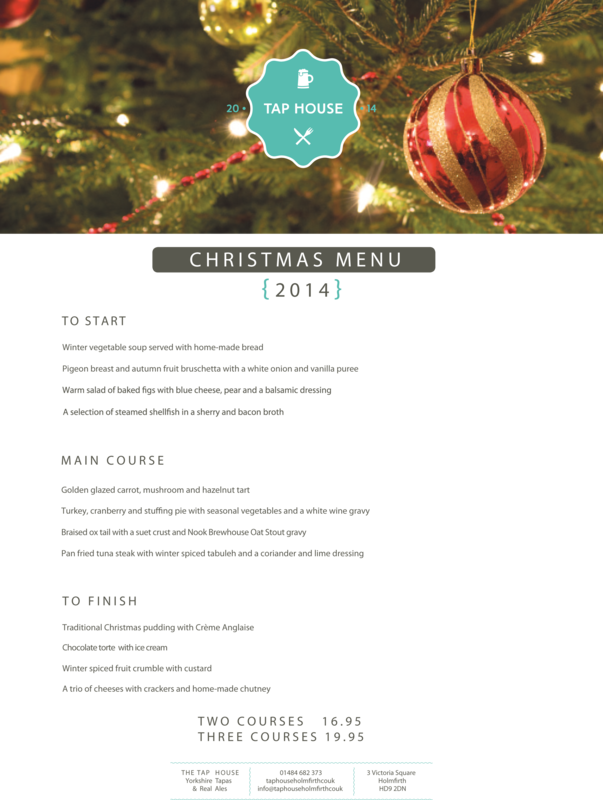 Celebrate the festive season with us at the Tap House this year. Experience this special occasion with a meal in our newly refurbished, relaxed and contemporary bar and restaurant. Group bookings also being taken please contact: 01484682373 to request a group booking form and to discuss your requirements.